Killer Characters: What's your favorite movie? 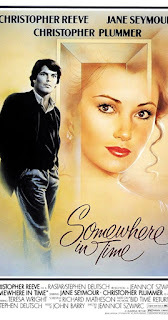 Mackinac Island is known for two things - fudge and the 1980 movie "Somewhere in Time." I grew up on the film and enjoyed seeing the island portrayed as barely changing through time. It was a romantic movie about love lost and found and lost again. Sigh. 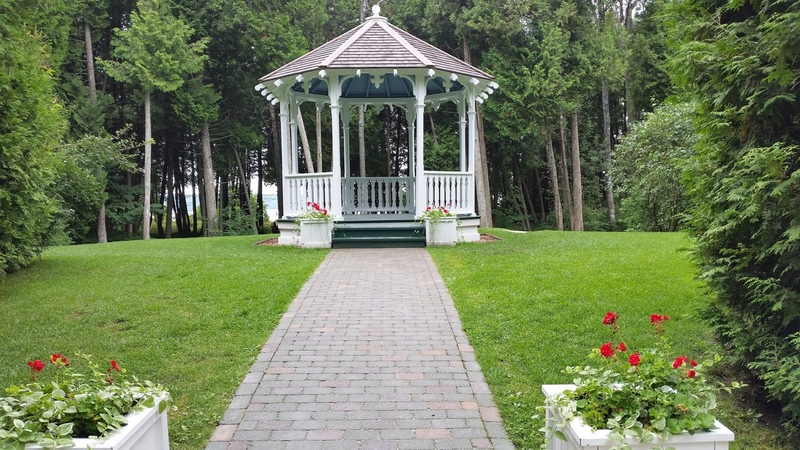 They built a gazebo for the film and left it to the people of Michigan. You can see it still today at the Governor's mansion. Many romantic couple get married in it. 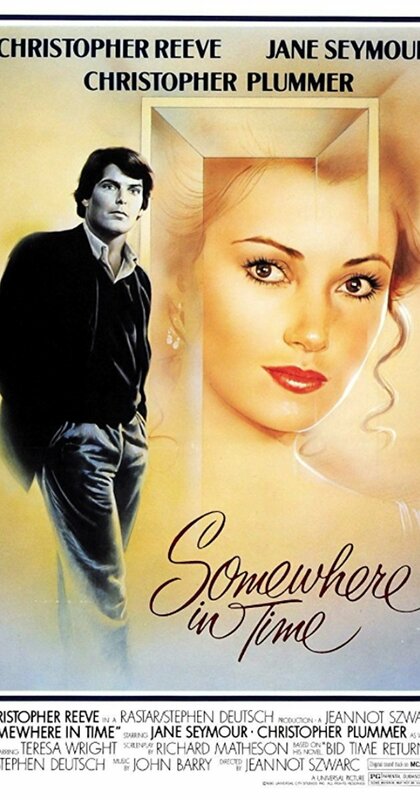 But Somewhere in Time is not the only thing filmed on Mackinac. There was the candy cook-off reality show that I was a reluctant part of earlier this year. Now someone has come up with the grand idea of filming a weekly mystery series on the island. The Main street business owners are abuzz about the possibility of people coming to walk in the same place their favorite characters walked. I'm a bit more jaded. I had my experience in the limelight and I'd prefer to stay behind the scenes making fudge. But that's not to be when a killer follows the film crew around and starts recreating all the scenes of the crimes I've solved. Suddenly there's a lot more at stake than who gets their business in the opening credits. I wish I could have seen the filming of the movie. But I wasn't born yet. As Papa Liam would say, I was only a twinkle in my parents' eyes. It wouldn't have mattered because I grew up in Detroit. I would have still been left with only my grandfather's memories of the cast and crew. As for the new crew, I hope they weren't too terrified by a killer on the island. Leave a comment below about your favorite movie growing up and my author will pick one lucky winner to relieve an Advanced Reader Copy of Forever Fudge by Nancy Coco out Oct 2018. Favorite movie? My Cousin Vinnie is at the top of the list. I loved the animated version of Charlotte's Webb. My favorite movie has always been Gone With the Wind. 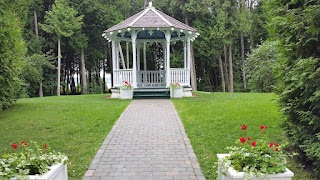 I also liked Somewhere in Time, Mackinac island is one of my favorite places. Love this series! Hello! My favorite movie was and still is Imitation of Life!! It was made before I was born, but, when it came on TV, my Mom and I watched it every time! It is such a good movie, and you will definitely need tissues when you watch it! I love all the fudge books taking place on Mackinac Island, and since I am a huge dog lover, I love Mal too!!! Thank you for thr chance to win the next book in this wonderful series! Have always loved The Wizard of Oz and It's a Wonderful Life and still watch them when they come on. However, my favorite movie is Dirty Dancing. Not as much for the movie as for the memories. It was a movie that I watched several times with my daughter. We both loved it joining two generations of music loved for the first time and music loved years in youth. It was also the last movie that I watched with her before she went to her heavenly home at the age of 17. It will always be a movie I love to watch that holds such special memories. Thank you for the wonderful chance to win a ARC copy of "Forever Fudge". What a privilege and thrill to be able to read it before it's released. I have seen that movie, it was a look good! A fun favorite I can watch anytime is Sweet Home Alabama. The winner is Dianne Casey!